Welcome to Northwest Missouri RPDC! 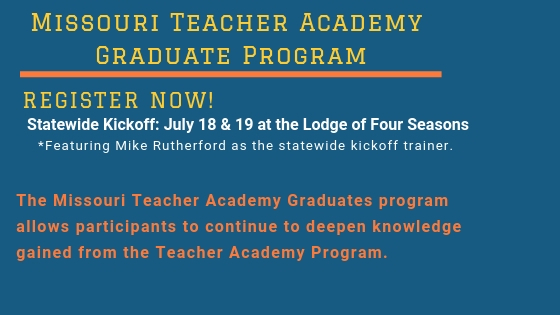 The mission of the Northwest Regional Professional Development Center is to build the capacity of educators and schools to maximize student performance through high quality professional development. Professional development and support for schools is delivered through regional learning centers comprised of content specialists with expertise to meet school/district needs. These teams model a collaborative, seamless learning community and facilitate goal-alike networks to promote and sustain effective schools. Raise achievement for all students and close the achievement gap among subgroups. Increase the quality of teachers and administrators in the region. 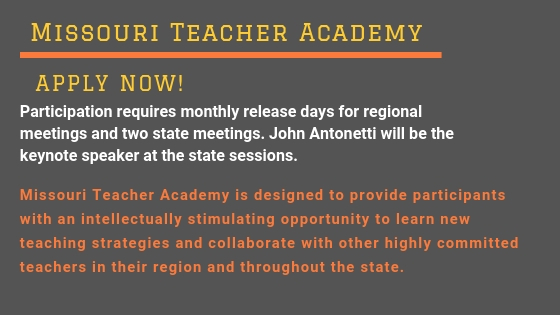 Increase reading, math, science, and social studies achievement in the region through the high quality professional development of teachers. New to School-Wide Positive Behavior Support? In-district support provided by NWRPDC staff, further supports a teacher’s first year at a deeper, more individualized level. Please contact RPDC office for information or click on link below. In-district support provided by NWRPDC staff, further supports a teacher’s second year at a deeper, more individualized level. Please contact RPDC office for information or click on link below.